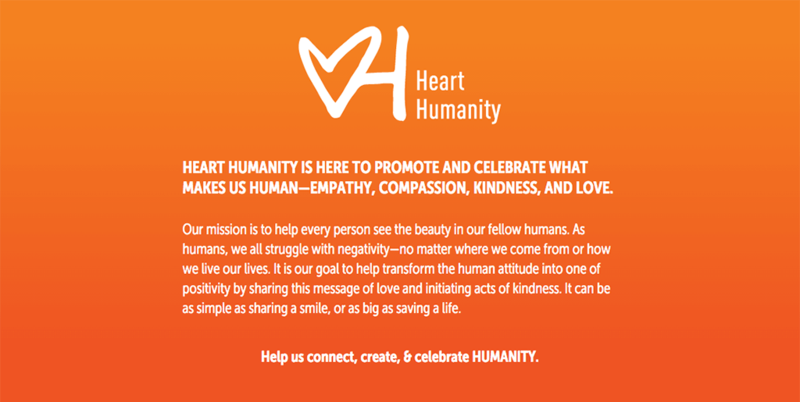 Here to promote and celebrate what makes us Human—Empathy, Compassion, Kindness, and Love. The challenge: Over a year ago during conflicts in the middle east I started to see a lot of negative back and forth amongst people regarding this topic. So I decided to create something that would put the focus back on the positive side of humanity, which is love, empathy and compassion towards others. My role & approach: Early on I decided I didn’t want to work on this project alone, so I decided to partner with my girlfriend who’s very passionate about social good design. At that point, I already had the name and various urls. Our next steps were to create the brand, mission, website and stickers for our first project. We spent a few sessions working through ideas, concepting and testing. 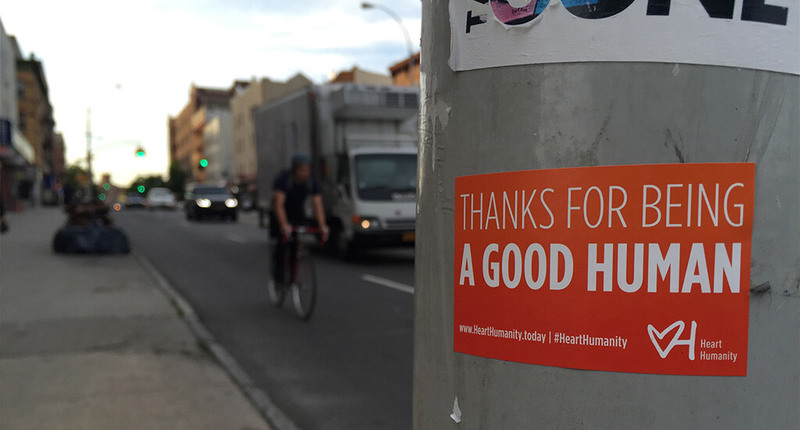 The first project was to hand out our “Thanks for being a good human” stickers to people on the street after spotting them do something good for someone else. We also wanted to share and document these stories online through social media. The challenge with that was that we found our interactions were so quick that it was then awkward to try and photograph the process and it took away from the initial act. The impact: By starting this project we have both seen huge shifts in our own lives. We find that we are more conscious of our surroundings and the people around us as we are observing how they interact with each other. Our goal is to be able to give more people stickers and spread this message of love, empathy and compassion. 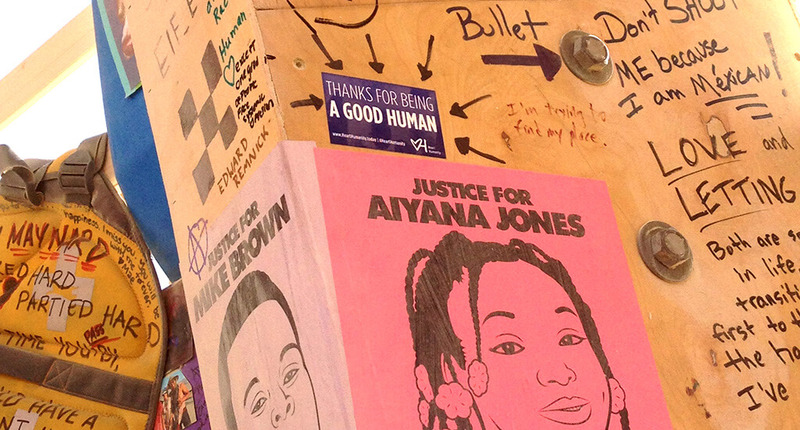 Image Caption: Heart Humanity, "Thanks for being a good human" sticker in temple at Burningman 2015. Image Caption: Heart Humanity, "Thanks for being a good human" stickers. 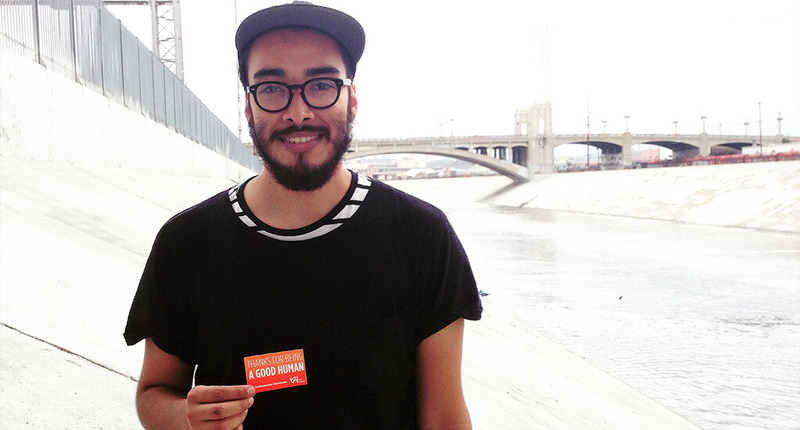 Image Caption: Running to try to save someone's camera lens cover from going into the LA river was how he got a "Thanks for being a good human" sticker. Image Caption: Heart Humanity stickers have been appearing all over the world spreading the positive message.